No, not PlayStation Home. I know Halloween is all about raising the dead and all, but I don't even think the seasonal black magic can stand a chance at resurrecting that. 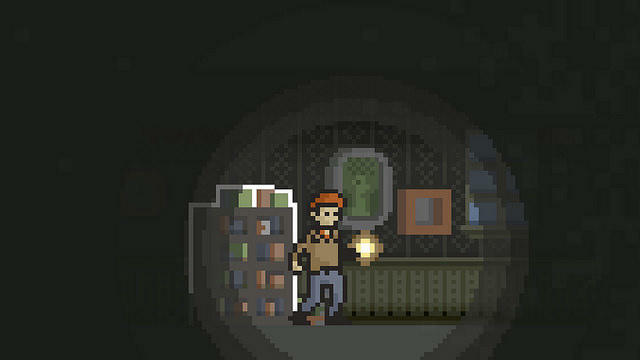 I'm talking about Home, the pixelated survival-horror game popularized on the indie scene. Sony has confirmed that it will be spreading to the PlayStation 4 just in time for Halloween. Director Benjamin Rivers explains his minimalist game in an update over on PlayStation Blog, comparing it to adventure games, 2D sidescrollers, and of course, all of your favorite survival-horror games. This horror adventure is a player-driven story that responds to your choices; taking cues from adventure games as well as side-scrollers, what happens in Home is entirely up to the player. As you make choices and even explore, the game changes in subtle ways to reflect your adventure. I like to think of it as the kind of game you'll immediately want to talk about with other players as soon as you finish it, just to compare notes. The best part about the Halloween launch is that you'll be able to pick up Home for just $2.99 for a limited time. It sounds like a wonderful little companion game to play in between all the other huge survival horror releases of the season and the games available in Sony's "Sale of the Dead." Home will be released for the PlayStation 4 when the store updates this week. The PS Vita version has been confirmed, but no date has been officially set. Rivers only states that it will come out shortly after the console release, and buyers won't have to double-dip thanks to Home supporting cross-buy.